Activision wants everyone, from the lowliest nerd to the highest spending shareholder in the company, to know that it is the publisher behind Call of Duty. 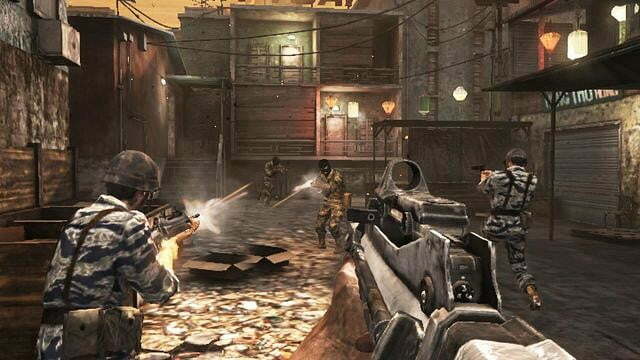 Call of Duty: Black Ops is the best-selling video game of all time? That was us! We’re all Call of Duty, all the time, us Activision folk. Unless you’re talking about Call of Duty Black Ops: Declassified for PlayStation Vita. That might not be us. That seemed to be the message at least when the first PS Vita version of the popular shooter series made its debut during Sony’s press conference at Gamescom in August. Activision was very quiet about the game, especially after the tepid response the first trailer received from press and fans. In fact, Activision wasn’t even clear on who is making it. Not Treyarch and not Infinity Ward, says CVG. Neither of the studios responsible for Call of Duty’s annual HD console releases has worked on the Vita game. John Rafacz of Treyarch said his said hasn’t “been involved with the Vita version.” Rough! Who is making the game? Nihilistic, an independent studio in California. Call of Duty obsessed Vita owners might want to dial back their excitement for the game even more considering Nihilistic’s most recent output. Its last game was Resistance: Burning Skies for PS Vita, a shooter built to showcase the handheld’s horsepower and capabilities as a platform for FPS games. It was instead a ramshackle series of boring levels and tacked on touch screen features. Activision hasn’t totally separated itself from Call of Duty Black Ops: Declassified. “Activision is the publisher, but we also have a partnership with Sony to bundle Declassified with the PlayStation Vita.” Translation: We’re sort of publishing, but Sony’s publishing it more than us! The concern here is not just the poor quality of Declassified based on footage of the game. Yes, the footage is especially rough since the game is due out in just over a month. The real problem is the amount of money that Sony no doubt spent to get Activision to commit the brand to Vita at all. Activision has been reticent to publish on either Sony or Nintendo’s handhelds in recent years, recognizing that the devoted portable gaming market is contracting on a nearly daily basis. If Sony spent big to get Activision to just loan out the Call of Duty name, it’s not getting very much for its money.